According to reports, News Corp has suffered a net loss of $379 million in the recent quarter following it posted the value of its digital-education business. However, reduced costs assisted in strengthening its adjusted operating earnings. The media company said that for the first time that it will begin paying a dividend. Chief Executive Robert Thomson said during a conference call that the company is negotiating with a potential investor for its Amplify digital-education business. According to News Corp, it would stop marketing products of Amplify’s Access to new customers, however will keep on providing service to current customers. New Delhi Jan. 13 - The government has put 40 more coal mines up for auction and allotment. Twenty-six of these 40 mines would go to the power sector. As per the list, 23 mines are earmarked for auction, while 17 others including Tara East, Parsa East and Kanta Basan would be allotted directly. 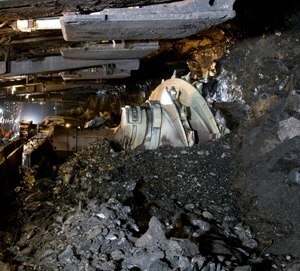 The e-auction of the 23 coal mines will be held from the second week of February. New Delhi, Dec 24 : The Union Cabinet on Wednesday approved the resumption of the allocation of coal blocks, and also sent an ordinance on an amended insurance bill to President Pranab Mukherjee. "The Cabinet took three important decisions today. With the repromulgation, the unfinished business of the allocation of coal blocks will resume again. The guidelines have been approved for the methodology of how coal blocks will be allocated to the power and other core sectors,"Finance Minister Arun Jaitley told the media here. 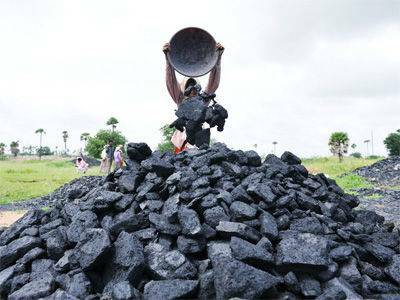 New Delhi: Government is targeting a revenue of Rs 1.47 lakh crore from the allotment and auction of 92 coal blocks out of those being given out in the first phase to private as well as public sector entities. The 92 coal blocks to be both alloted and auctioned have geological reserves of 18,446 million tonnes, according to an official source. Of the 92 coal blocks, 57 blocks are for the power sector and 35 mines are for non-power sector and captive power plants, he said. In the first phase a total of 101 mines are being allocated, including 65 through the auction route. New Delhi - Opening up of the coal sector and upgradation of state-run Coal India and its subsidiaries are vital for scaling up domestic production of the dry fuel, says a report submitted to the government on Monday. The final report of the Advisory Group for Integrated Development of Power, Coal, and Renewable Energy for suggesting measures for enhancement of coal production in the short, medium and long term was presented to Power and Coal Minister Piyush Goyal. The group, headed by Suresh Prabhu (now Union Minister for Railways) has called for certain improvements in Coal India and its subsidiaries including Central Mine Planning and Design Institute Limited (CMPDI). 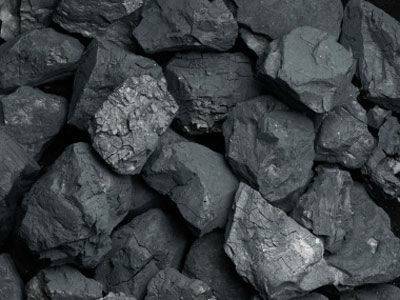 New Delhi - The keenly awaited auction of coal blocks will be held around February 11 but power tariffs are unlikely to shoot up following bidding, expected to be intense, as the government has put in place norms to regulate the bid war. 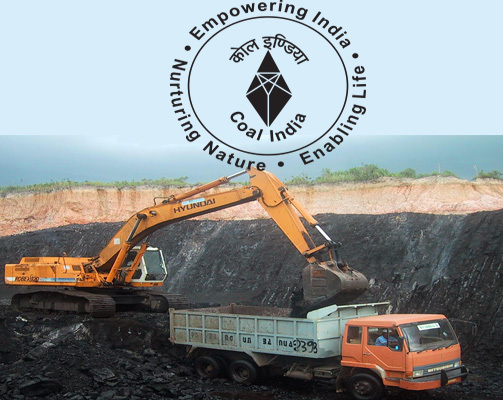 As per the draft rules of bidding for the first set coal blocks from among the 204 whose allocations were cancelled by the Supreme Court in September, the mines will be allocated only for specified end-use like power generation and there will be a cap on number of blocks a company can bid for. New Delhi, Nov. 17 - The Coal Ministry has asked the allottees of 74 mines to provide information about their fields by November 25. The required information includes details on environment clearance, production and land status. These 74 mines are part of those 204 coal blocks whose allocation to various companies since 1993 was quashed by the Supreme Court on the ground that they were done in an illegal manner by an ad-hoc and casual approach without application of mind. 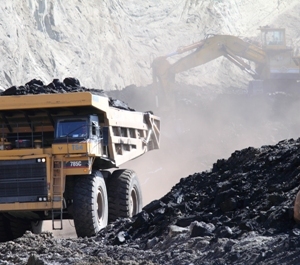 The government is now planning to allocate coal blocks through auction by February next. New Delhi, Nov. 13 - The government has set up a high-level inter-ministerial committee to ensure the smooth allocation of 204 cancelled coal blocks. The committee will provide advice on policy issues and interact with the industry. 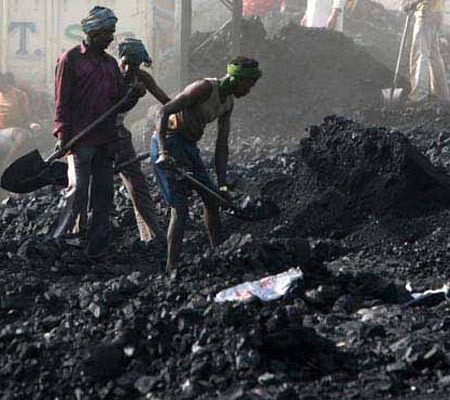 The coal ministry has said the nine-member committee, to be headed by Additional Secretary (Coal), will have members from ministries like power, steel and law. It has said that the nominated authority created under the Coal Mines (Special Provisions) Ordinance, 2014 is required to undertake management and reallocation of 204 coal blocks cancelled by the Supreme Court. New Delhi : Government Monday told the Supreme Court that it "wants re-auction all of 218 coal blocks" declared as illegal allocation but sought its indulgence to "exempt" 40 of them which are functional and ready for the end use power plants. New Delhi : The Supreme Court is likely to pronounce it verdict Monday on petitions which seeks quashing of coal blocks allocated during the previous UPA regime. 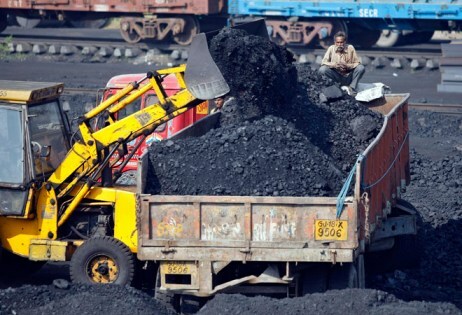 A bench headed by Chief Justice R M Lodha has examined the allegations about alleged irregularities in the allocation of around 194 coal blocks without following proper guidelines. The coal blocks were alloted in Jharkhand, Chattisgarh, Maharashtra, West Bengal, Odisha and Madhya Pradesh to private companies and parties bewteen 2004 to March 2011.